Ahead of the World Mail & Express Americas (WMX Americas) Conference in Miami, we caught up with Ron Jansen, Head of International Business at Zongteng Group. Ron will be speaking at WMX Americas 2019 and offers his thoughts on the conference and the future of the industry. This interview was originally published on Post&Parcel in November 2018.
RJ – Zongteng Group with its subsidiaries Worldtech and YunExpress is China’s second largest cross-border shipping solutions provider for e-commerce. The group’s innovative DDP solutions into Europe, the US, China, Japan and many more countries enable e-tailers to offer their global customers extraordinary shipping experiences to door without any tax hassle. 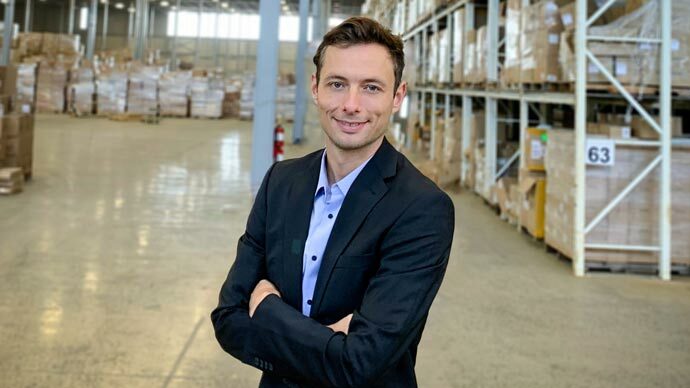 During my four years of representing one of Europe’s largest e-commerce logistics providers in China, I have acquired thorough knowledge of cross-border ecommerce logistics, with particular focus on commercial shipping solutions from China into Europe that combine innovative B2C customs clearance with effective delivery networks. As the new head of International Business with Zongteng Group, I aim to make these solutions available to American and European shippers. RJ – The new DDP into Europe. Learning from Chinese Best Practises. Commercial shipping solutions into Europe are on the rise and DDP Customs Clearance for e-commerce is the Key Element. B2C Clearance is not any more just London, but now also available and operational in Amsterdam, Paris, Madrid, Frankfurt, Liege, Luxemburg, Lisbon and next Milano. These new clearance options allow you to organize more efficient and effective logistics chains into many EU countries. Chinese Etailers already fully benefit – American e-tailers shall be next. RJ – I hope that delegates learn about the range of sophisticated commercial shipping solutions into Europe that is offered to Chinese e-tailers today. American Shippers deserve the same high-quality solutions into Europe as their Chinese counterparts. RJ – We are innovative and able to adapt to changing environments quickly. Therefore, each challenge is a chance. RJ – I am looking forward to meeting the executives of America’ e-commerce shipping industry, networking with industry experts, extending my network and to catching up with old friends! RJ – Postal operators have been trying to gain additional revenue streams by setting up commercial teams that resell contracts internationally. Some postal operators excel at this by focusing on solutions, whereas others simply resell low terminal dues which might not be successful in the long run, like several Asian group 4 postal operators just had to experience with the UPU circular 105.
RJ – In terms of cross-border shipments, solving the import taxes bottleneck is one of the key elements in achieving higher consumer satisfaction. With exception of the US, this probably concerns all consumers worldwide. Innovative DDP solutions can solve this bottleneck and private e-commerce logistics providers are in the lead. P&P – Who is making the greatest advancements in the post and parcel industry, and what are they doing? RJ – Private e-commerce logistics providers are taking over a bigger share in the global e-commerce shipping market. With their abilities to organize efficient and effective cross-border logistics chains, they fill the gap between postal and courier. RJ – Find yourself a niche, where you excel. This can be a specific destination or a specific type of shipping solution. Build up a leadership in that niche. RJ – At some point we might see Trump reducing the threshold for e-commerce shipments into the US. Depending on the new threshold, there may be a heavy impact on Chinese e-tailers selling into the US. Ron will be speaking at the World Mail & Express Americas Conference 2019. WMX Americas is taking place at the Miami Marriott Biscayne Bay (10 – 12 February 2019). Visit www.wmxamericas.com for more information.